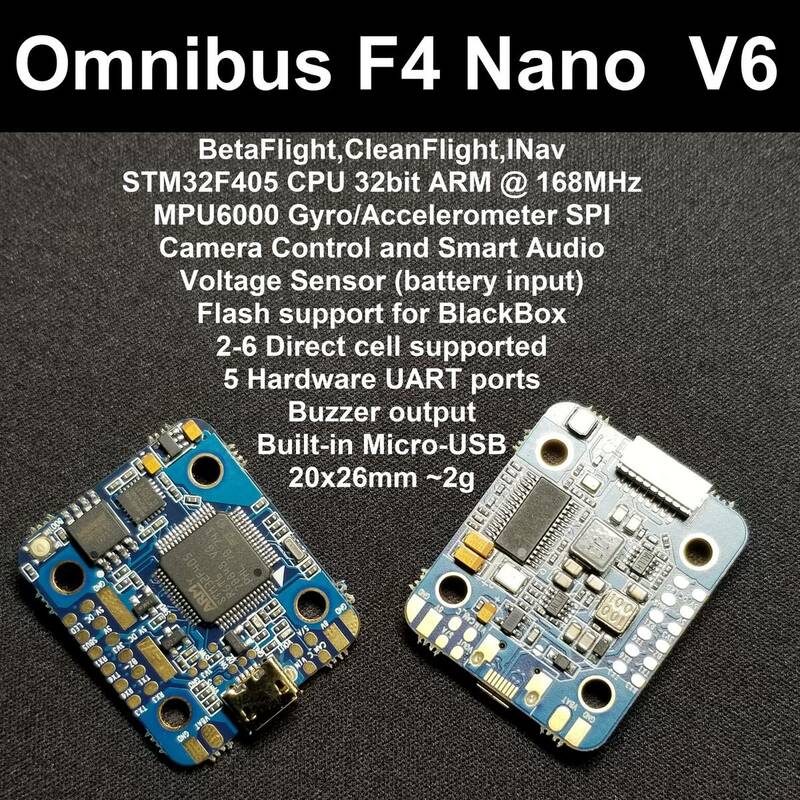 RTFQuads new V6 brushless AIO flight controller for FPV may be small but is packed with features. With Support ending for F1 processors, F3 becomes the bottom wrung, but don't worry, this little board features an F4 MCU. Its Betaflight OSD is connected over SPI in DMA, don't know what that means? 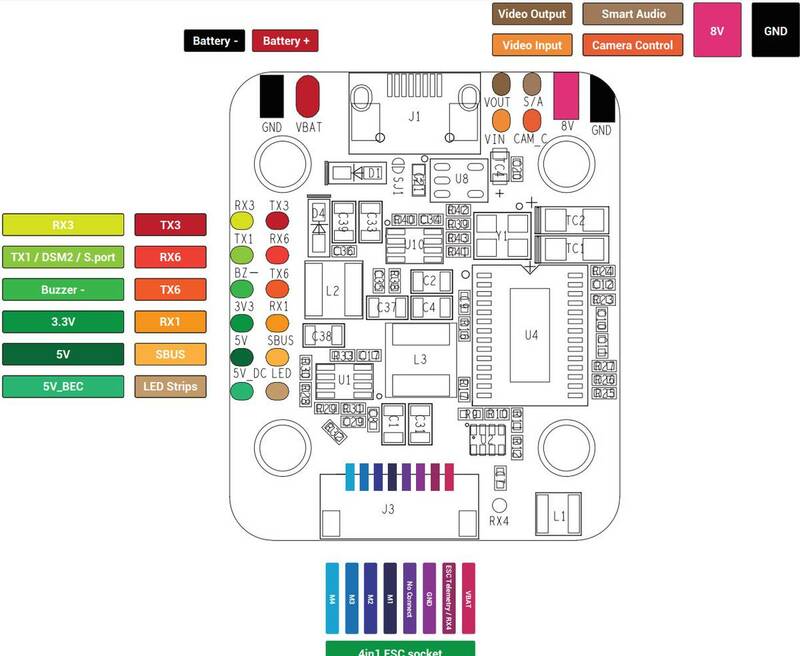 It is designed on the current proposed architecture for betaflight, it will show you any and all data you want on your FPV feed and you can change settings including tuning your PIDs without taking your goggles off! 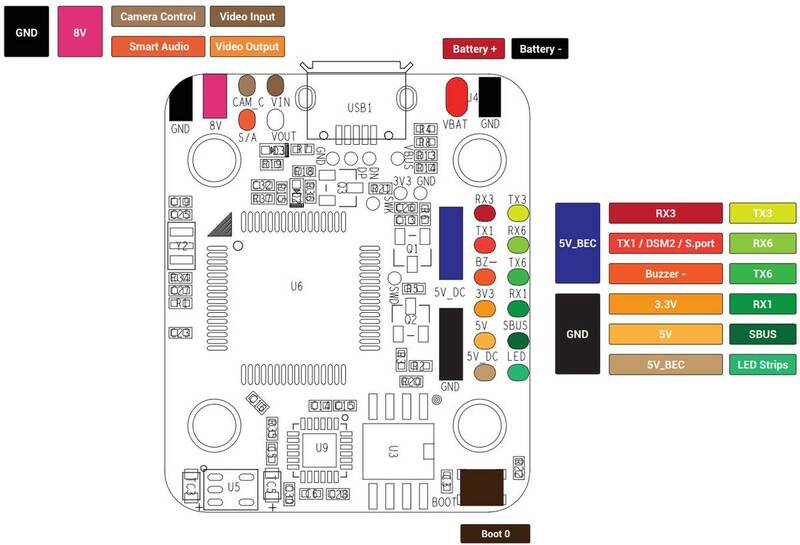 The board also features an MPU6000 gyro connected over SPI for fast, accurate, low noise gyro data and can support 2-6s direct input. That's right, up to 6s on this 20x20 FC! And lastly, it features a built-in LC filter and voltage sensor, making it a beast!